The beautiful subdivision of The Cottages at Farrow in Market Common has been built on the site of an old air force base. Development started in the late 2000's, but much of the new construction is scheduled to be finished this year. Read more about The Cottages at Farrow Parkway real estate. The one and two story homes line peaceful streets and many have views of ponds and a professionally landscaped courtyard. Some of the beautiful features you will find include stainless steel appliances, maple cabinetry, and Corian countertops in the kitchens. Vaulted ceilings, hardwood floors, covered patios, screened porches on 2nd floors, and two car garages add to the upgrades. The price averages in the mid $200,000 range. 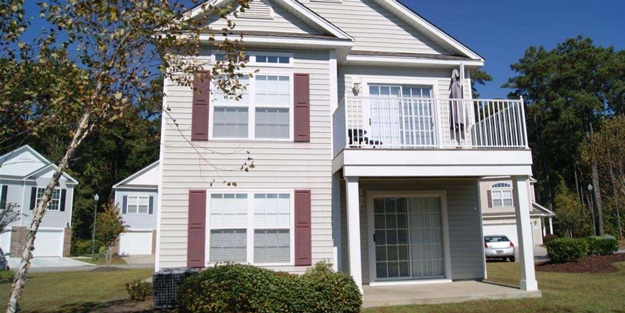 The community has so much to offer with a convenient location and great amenities. There is a neighborhood pool and beautiful ponds. Trails for walking and biking wind through the neighborhood. 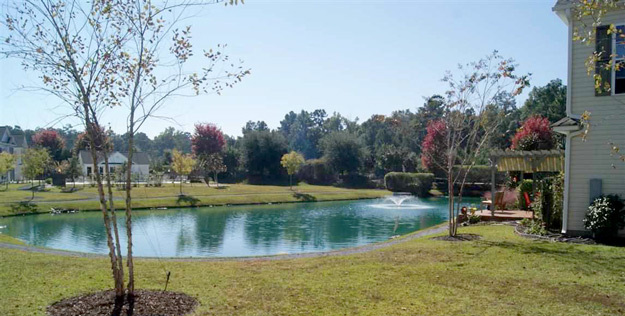 Across the street the Crabtree Gym facilities have been renovated recently, and there is a 200+ acre park with a lake. The retail section of Market Common is conveniently close. It is just a short drive to Myrtle Beach State Park and incredible beaches. Of course, the Grand Strand has a limitless variety of dining, shopping, and entertainment opportunities nearby as well. You won't want to miss this fantastic community when you are searching for your dream house! Call our real estate professionals today for a private tour of the homes for sale at The Cottages at Farrow Parkway in Market Common.